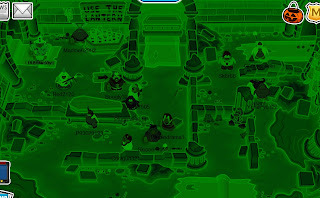 The Club Penguin Halloween party is here! It looks amazing! Candy Apple at the Plaza. Carmel at the Ski Lounge. 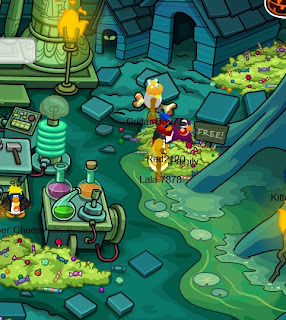 Candy Corn at the snow forts. 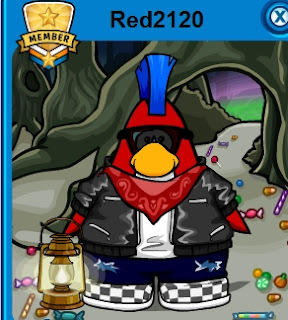 Then you should collect your special Background! 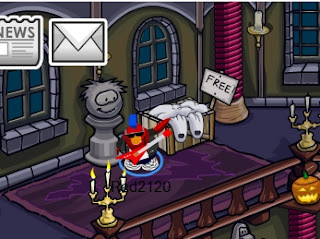 Now go to the Haunted house and grab the Ghost costume! Awesome! 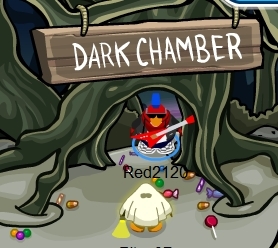 Now you can go to the dark Chamber! 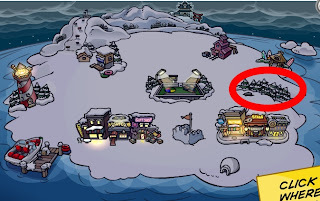 Its at the forest on your map! 1. Enter the room. You will hear music playing. Click on the piano and follow the same beat as the song you heard. Heres the answer key! Once you did that, watch this video below! BUT WAIT!!! Theres a awesome easyer cheat then doing it like the video! You can put on night vision goggles. Look! Now you can see the whole room! Congrats! You are in the last room! Here you can meet Gary! Also be sure to get the free candy pile and also take a peek at the Monster Maker store. If you want to see more of this party, plus a tour, watch the video below! 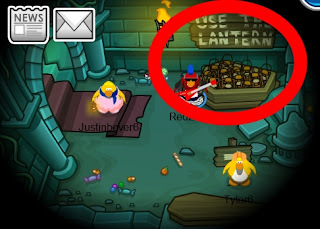 -Party secret- If you drill on the ice berg it carves a face into the pumpkin!